Advertise in the Chi-Chatter Stud Issue! 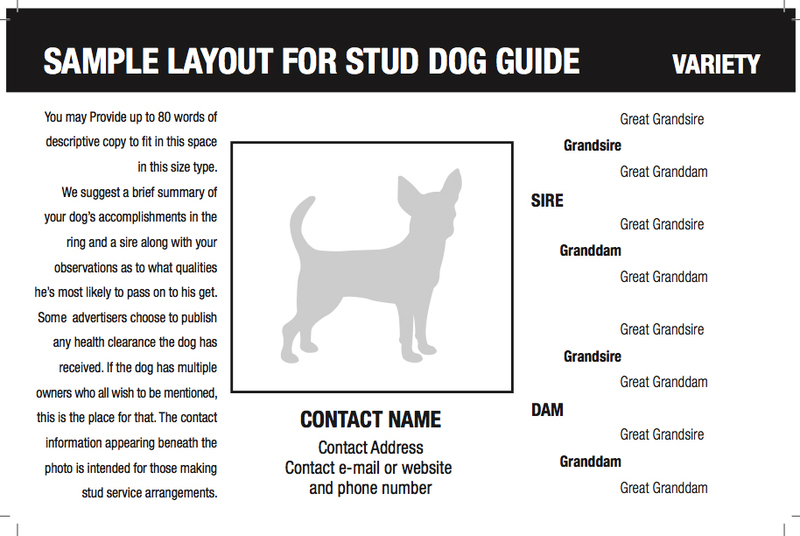 Please download the Stud Issue Ad Form and submit with your payment. PAYMENT MUST BE RECEIVED BEFORE ANY SPACE WILL BE RESERVED. ALL ADS AND PAYMENTS MUST BE IN BY AUGUST 5TH. For Cover, Back Cover, Inside Front/Back, please call for availability.